This model of the radar speed camera is another version designed for fixed installations where constant danger of speeding occurs. This model of the radar speed camera is another version designed for fixed installations where constant danger of speeding occurs. At such places is constructed a concrete base bearing a pole with a cabinet accommodating the radar speed camera. The cabinet protects the device not only from weather effects but also from vandals. 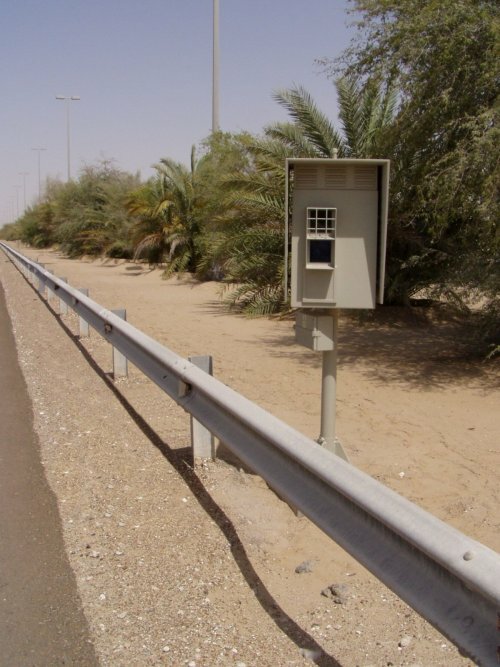 The radar speed camera is composed of an exchangeable push-and-pull measuring container and the cabinet on pole. The height of the pole is determined according to the selected site and way of measurement ( one or more traffic lanes, distance from the road).